We are incredibly please with the progress that all Silver Class children are continuing to make with their counting skills. The aim is for all class members to be able to count confidently from one to twenty. We are working on many different activities to help us reach this objective. Singing is always important! The Silver Class children have been enjoying singing the Five Little Ducks song on the class whiteboard to help us with our counting. We have been taking it in turns to count down from five to one as each little duck disappears. This is also a very visual activity, with encouragement from all staff to use the relevant Communication in Print signs and actions. 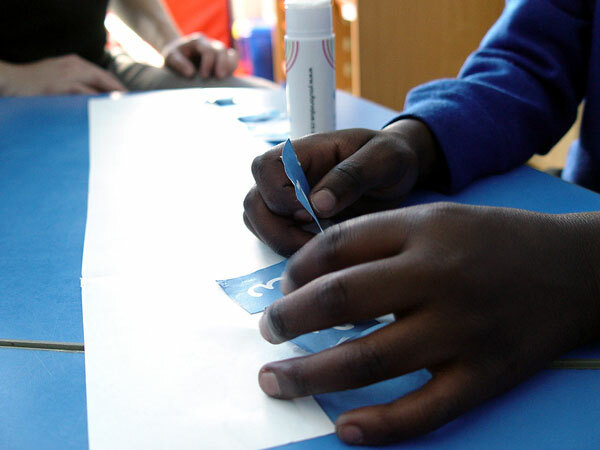 We are also able to provide plenty of one-on-one tuition to help the children with their counting. Each class member is able to work alongside an adult during our daily table activities. We have activities timetabled that are focussed specifically on the help that each pupil might need. This includes sequencing numbers on the number line, or counting backwards from ten to one.